The Tomahawk Land Attack Missile (TLAM) is a long-range, all-weather, subsonic cruise missile that is primarily used by the United States Navy and Royal Navy in ship and submarine-based land-attack operations. 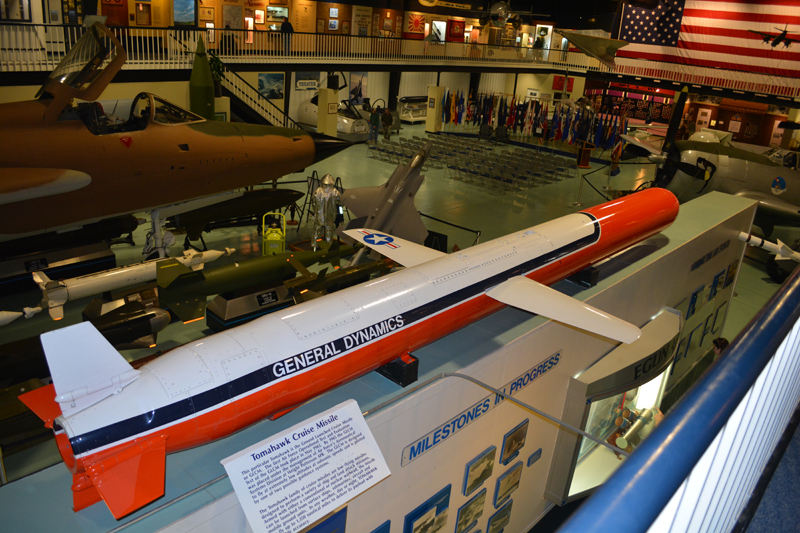 Introduced by General Dynamics in the 1970s, it was initially designed as a medium- to long-range, low-altitude missile that could be launched from a surface platform. Since then, it has been upgraded several times with guidance systems for precision navigation. In 1992–1994, McDonnell Douglas Corporation was the sole supplier of Tomahawk Missiles and produced Block II and Block III Tomahawk missiles and remanufactured many Tomahawks to Block III specifications. In 1994, Hughes outbid McDonnell Douglas Aerospace to become the sole supplier of Tomahawk missiles. It is now manufactured by Raytheon. In 2016, the U.S. Department of Defense purchased 149 Tomahawk Block IV missiles for $202.3 million. The missile is named after the tomahawk. The Tomahawk missile family consists of a number of subsonic, jet engine-powered missiles designed to attack a variety of surface targets. Although several launch platforms have been deployed or envisaged, only sea (both surface ship and submarine) launched variants are currently in service. Tomahawk has a modular design, allowing a wide variety of warhead, guidance, and range capabilities. The Tomahawk project was originally awarded to Applied Physics Laboratory near Laurel, Maryland by the US Navy. James H. Walker led a team of scientists to design and build this new long range missile. The original design, updated with advanced technology, is still used today.